Guatemala is Central America’s newest, most exciting place to host a destination wedding. Just a short plane ride can bring you to a place famous for friendly locals and bright colors. This small country just to the south of Mexico has a growing wedding market of photographers, planners and venues that will entice you to run away and exchange vows there right away. Here are some facts about Guatemala that may well persuade you to consider this beautiful country as your wedding location. 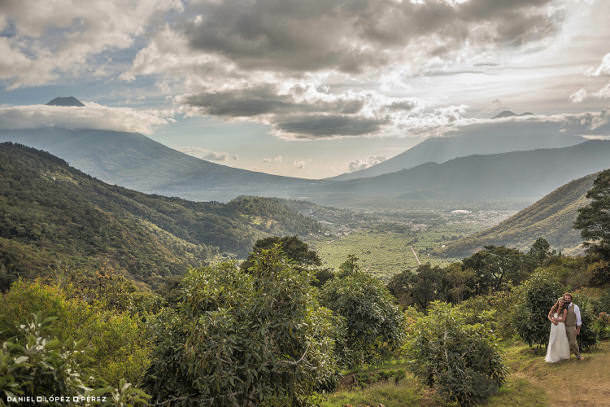 Although Guatemala is relatively small in size, the landscape ranges from sandy Pacific beaches to staggering mountain peaks. You’ll find lovely green coffee forests, lush jungles, calm tranquil lakes and white sandy beaches on the Caribbean. Whatever natural setting you can imagine is likely found in Guatemala. Along with Guatemala’s natural beauty, there are man-made places in this country that are not found elsewhere. For example Antigua, a small colonial town just an hour from Guatemala city, is a quiet, beautiful setting that hosts a wide variety of wedding venues. Some of these include ancient ruins, old churches and even coffee farms! In addition to amazing locations for the actual wedding, you can keep your guests occupied with activities that they will remember for a lifetime. They can take a hike up to a volcanic peak that touches the sky, they can take a ride on one of Central America’s longest zip-lines, or they can kayak on the cool waters of one of Guatemala’s many lakes. Either way, they will not be bored. Any money that you might spend in Guatemala can go a long way. Were you thinking about that multi-thousand-dollar, rustic venue in Italy? You can get a similar look in Guatemala for a third (sometimes even a quarter) of the price. Generally, you can expect to spend half or less of the money that you would spend on a basic wedding in the US and Europe. Then, since you’ll be saving additional money on venues, flowers, and food, you can splurge a little more on the things that might matter more to you; and even if you decide to go a little crazy on the flowers, you can expect a lot more bang for your buck in the country where most of these flowers are grown in the first place! The average US wedding costs $29,000, so it's no wonder why you might try to find a cheaper option. You can find a huge number of talented planners, photographers, decorators and loads of other venues all over Guatemala; many of whom speak English (si no habla Español). This makes the planning and coordinating process of your wedding a thousand times easier. As long as you have an internet connection you can email your planner, organize on-the-ground transportation and book hotels from distance. Some venues in Guatemala even have an employee on staff who takes care of everything regarding your wedding day. These all-inclusive venues are a great way to consolidate tasks and get more done faster. 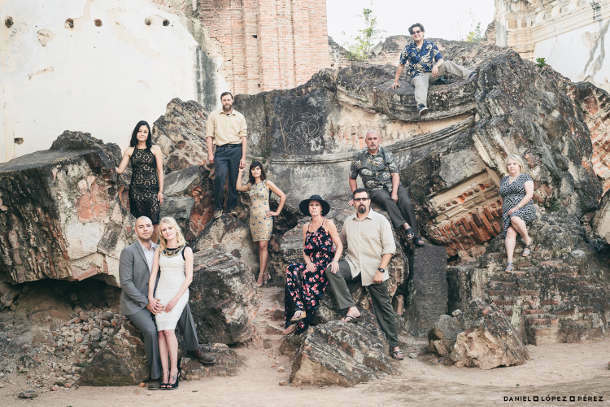 Finally, Guatemala contains some of Central America’s award-winning photographers, most of whom live and work here. Ten years from now, you will be astounded at the beauty that your photographer has captured, as well as the incredible memories that occurred during your unforgettable wedding experience in Guatemala. Guatemala has definitely earned it’s name as the “land of Eternal Spring.” When it’s cold and frigid in most of North America and Europe, Guatemala keeps it’s temperatures at an ideal spot between 70 and 80 degrees Fahrenheit (21-27° Celsius) during the day and cools down to moderate temperatures in the evening. 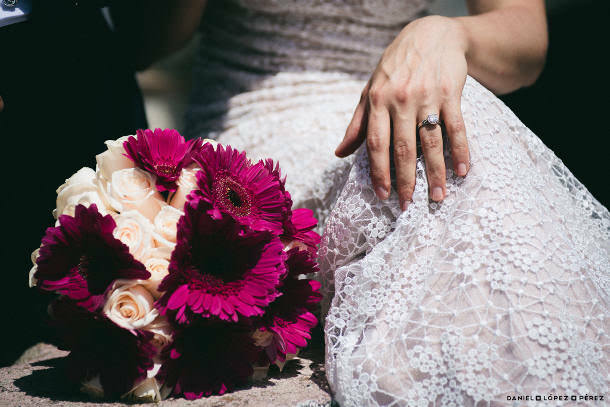 There’s a reason why most domestic weddings happen in the spring; because there are flowers blooming, natural life is green and birds are happily chirping all day long. This is an everyday occurrence in Guatemala. Even during the rainy season (between June and October), light afternoon showers refresh the landscape and provide some of the most beautiful mountain sunsets you can imagine. Literally the day that your wedding ends, you can start your honeymoon. In many of the incredible hotels and spas in Guatemala, you can get a deep tissue massage to release all of the tension and excitement that you accumulated from your wedding day. You can take a long soak in a hot tub filled with rose petals to spark the romantic ambience that began after you recently said “I Do.” You can pamper yourself at one of Guatemala’s many salons with a manicure or pedicure at the hands of trained professionals. 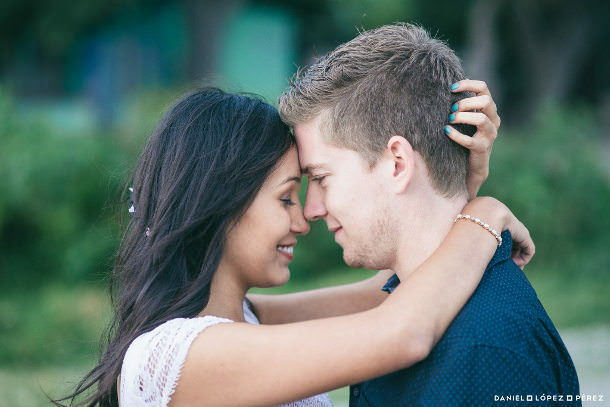 Either way, you don’t have to travel far for a romantic beginning to your newlywed life. Whether it’s the weather, the locale or the stunning scenery, Guatemala is the next big thing in the destination wedding industry. As this country grows in tourism and amenities, there are more and more options available for brides with all different tastes and preferences. Why not have it be your special place to begin your life, married to the one you love? 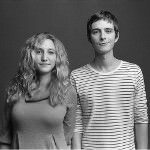 Daniel López Pérez Photography is a bilingual American-Spanish couple that live and work in Guatemala. They focus on the small moments happening during weddings, which for them exemplify true beauty. They define their style as photojournalistic and fine art, and their goal is to create genuine, honest images of your special day that you will cherish for a lifetime. They like to work as a team of two and with no time limitations on your special day. 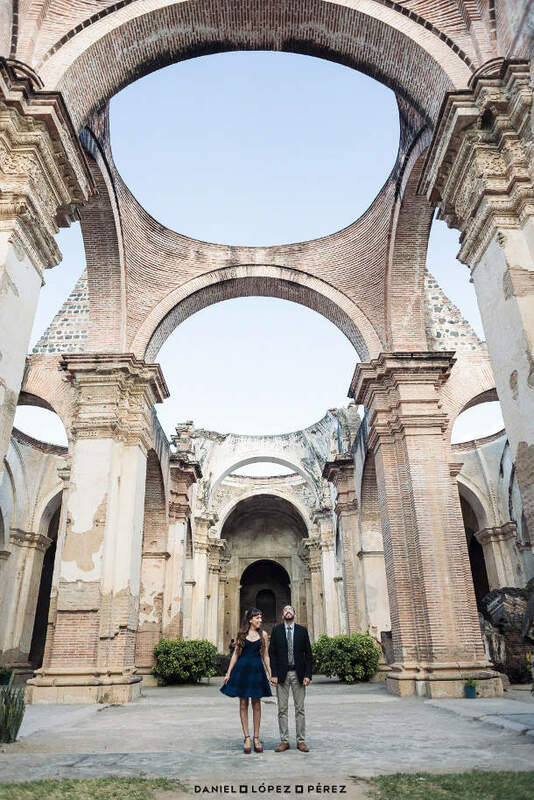 Visit our listing for Daniel López Pérez Photography to read their reviews, if you have any questions about vendors in Guatemala or require advice about planning your destination wedding in Guatemala.